The always-connected consumer and popularization of ecommerce platforms has resulted in increased supply chain pressures, with manufacturers needing to output goods faster and more efficiently to meet elevated demands. 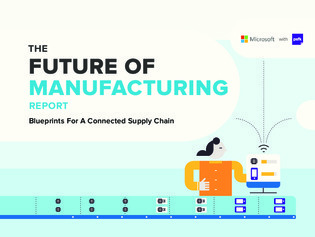 Consequently, more manufacturers are implementing end-to-end digitization within their own supply chains to optimize efficiency, agile operations and increase total production output. Microsoft may use your contact information to provide updates and special offers about Digital Transformation and other Microsoft products and services. You can unsubscribe at any time. To learn more you can read the Privacy Statement.